Enter the world of Sunvibes and participate in a unique experience to new outdoor concepts ! 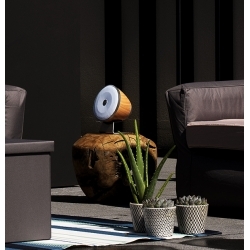 A collection of outdoor furniture that moves and changes colours according to your desire, as well on the water than on terrace, in a garden or inside your house, that’s Sunvibes spirit! An inflatable luxurious range with coloured, trend and customizable fabric cover that will carry you with elegance in your pool. Enter a new era : lightness and wellness. 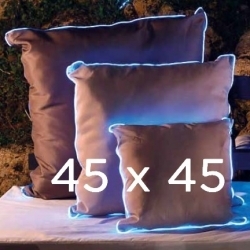 This human-sized company is full of imagination and always offers new products at the cutting edge of the latest trends. Their philosophy is based on innovation and the desire to transpose comfort from the inside to the outside. 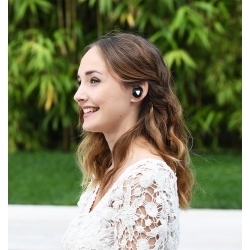 Soundvibes wireless earbuds Bluetooth Soundvibes wireless earbuds offer incredible quality sound to listen your music or make calls. Silicone earbuds guarantee a comfortable and secure placement even during long uses. At home, doing sports or outdoor activities, they follow you everywhere! 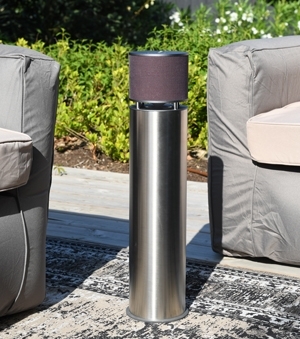 A simple and original range of outdoor Bluetooth speakers.Real HIFI speaker with excellent sound, total harmonic distortion, clarityand fidelity sound. Wherever life takes you, experience your music with powerfulstereo and punchy bass. Bluetooth speakers 6W. Real HIFI speaker with excellent sound, total harmonic distortion, clarity and fidelity sound. Wherever life takes you, experience your music with powerful stereo and punchy bass. Soundvibes wireless earbuds Bluetooth Soundvibes wireless earbuds offer incredible quality sound to listen your music or make calls. Silicone earbuds guarantee a comfortable and secure placement even during long uses. At home, doing sports or outdoor activities, they follow you everywhere ! 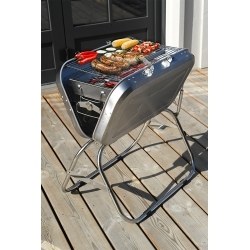 With its suitcase shape and its light weight, you can organize BBQ parties everywhere. Easy to setup, in a flash, put the charcoal in and it's ready to be used. 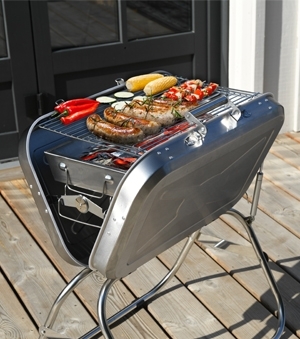 On the beach, on the boat, or for a picnic, don't hesitate to take your BBQ with you. NEW 2017 : the self inflate ! A revolution for your pool : it is magic ! Sitinpool is the only sofa that follows you on water ! Forget fragile and bulky inflatable ! No tools or accessories, simply open the box, insert the patented cushion in its coloured outer cover and open the valve : your Sitinpool sets up alone ! SHINE IN ALL CIRCUMSTANCES ! Unique, revolutionary technology manufacturing process for incomparable rendering. Real gold metal on your pool ! 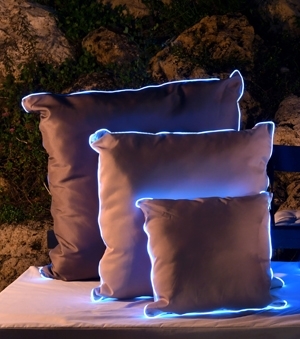 2 Light cushions Brighten your outdoor spaces with our light cushions. Day and night, they will find their place easily. Rain and sun proof. 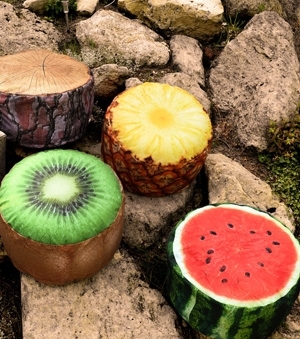 You will not be able to do without this superb range of plates. You can carry them at any occasion, you will benefit from a trendy and unbreakable service.All our products are exclusively developed by our design team. 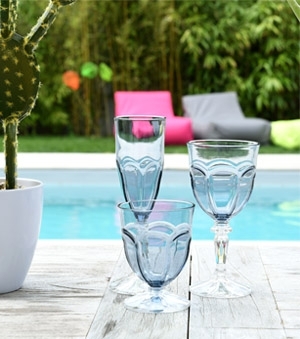 Quality, design and originality create a fancy table decoration with our acrylate glasses. Essential for your picnic, on boat, doing camping or even at the swimming pool. Forget plastic cups... Drink with Panache! 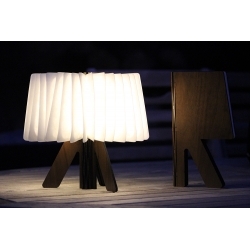 "R" Lamp Developped from our light book, the "R" lamp will brighten your outdoor dinners. Its integrated base and its lightweight allows to take it everywhere. 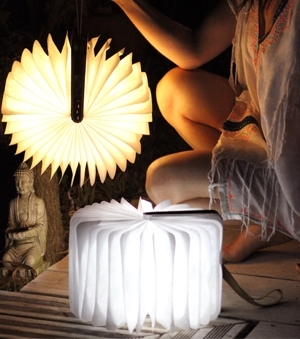 This lamp fits to all your needs thanks to its two luminous intensities : white light, amber or changing mode. Patented model. Bluetooth speakers 35W.Real HIFI speaker with excellent sound, total harmonic distortion, clarity and fidelity sound. Wherever life takes you, experience your music with powerful stereo and punchy bass.